A guide to veganism for active lifestyleswith one hundred delicious recipes. The culture of food in North America is changingand fast. More than eight million North Americans choose to exclude meat from their diets, and an additional twenty-five million rarely eat meat. Many of these individuals consume no animal products whatsoever. Why do these vegans and vegetarians choose to forgo steak, yogurt, or ice cream? Most commonly, they cite increasing and maintaining personal health. Add to this the steadily growing population of health and fitness enthusiasts who adopt plant-based diets temporarily to meet their performance goals, plus those looking to vegan diets for weight loss, and we’ve got a full-blown diet and lifestyle movement quickly expanding across the globe. 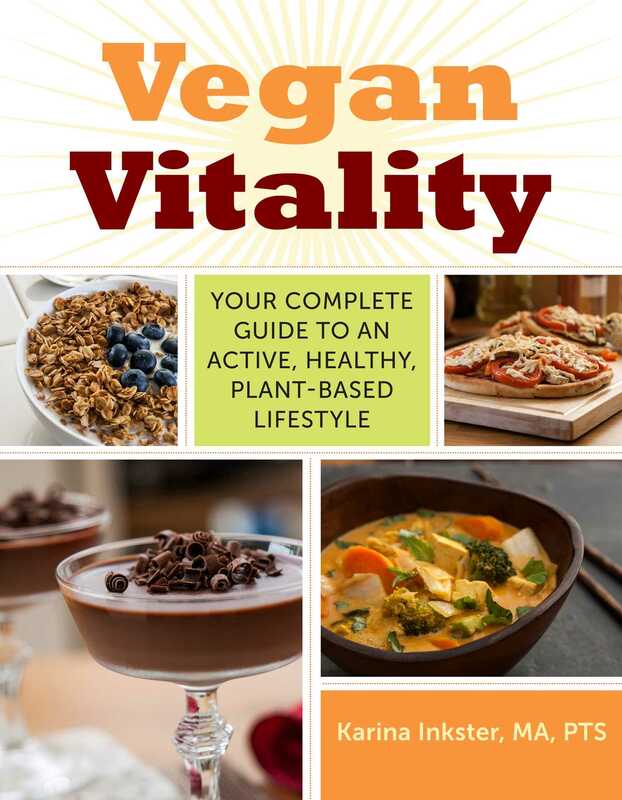 Vegan Vitality is a comprehensive active-living guide and cookbook for current and aspiring vegans and vegetarians interested in making regular physical activity a part of their lives. Karina Inkster motivates and inspires readers to increase the quality (and length!) of their lives by enjoying a whole foods, plant-based diet and engaging in regular exercise. With healthy living advice for everyone from beginners to amateur athletes, as well as a well-rounded collection of one hundred mouthwatering recipes specifically created to fuel active living, this book sets itself apart from existing titles by bridging the gap between diet and fitness, approaching health holistically and as a long-term lifestyle. Also included are interviews with vegan athletes and fitness professionals, each providing their own recipes, top-secret tips, and habits for healthy, active plant-based living.